i thought i would share some bella blvd stuff today. i hope you're all reading the bella blog, since i spend a lot of time blogging over there every day ;) we've had lots of great stuff going on over there. stephanie included this layout of mine, in her "friday's with stephanie" post today. bella is re-printing pattern paper for the first time ever, with their most requested and in-demand "cupcake paper". i have another layout using the cupcake side of the paper, that will be featured as a free step-by-step project sheet, coming soon. for this layout, i used the candle side of the paper. we've been doing design team introductions all week long, and we'll be continuing it for most of next week as well. you can get to know each of our TWENTY-ONE new design team members, learn some fun random facts about each of them, see a few of their projects, and get links to check out their blogs. we've also started doing some "saturday sketches" on the blog. twice a month, we will have a new sketch, and a handful of our designers will create layouts and cards based off them. we love to see everyone's takes on the sketches, so please share with us if you try it out. you can see the first two HERE, and HERE. 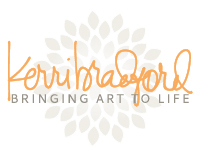 today, i have a kerri bradford studio layout to share. we're finishing out the "happy" theme for the month. creating layouts about things that make us happy. i have never been a big traveler, and our family has never taken a real vacation. so it's been a big change for me, as i've been doing quite a bit of traveling over the last two years, all for scrapbooking related work. i'll be totally honest with you. i'm NOT a big fan of traveling. i think i have been on about 22 airplanes, over the past two years. i find that just getting to and from the events, completely wears me out and it takes me days to recover. this map pattern paper from little yellow bicycle is what started this entire layout. i found it in my stash a few months ago, and pulled it out, with the intention of doing a layout about the places that i have gone. once i started working, and pulling out more products (all from little yellow bicycle), and deciding on which of kerri's going places shapes i wanted to add, the second page just sort of happened. the green brad marks where all my trips have started. from home. i guess i could have put the brad up by "sacramento", since that's where the airport is. but i put it where i live, which is an hour away. the brown brads mark the places i have gone too. and i did add a few orange brads, to some common layover cities that i seem to end up in. i thought it would be fun to map out all my flights, including the layovers. but i realized the strings would all get criss-crossed, and wouldn't make much sense. plus, i had a few cities that i've traveled too, but that i also had layovers in. and two of these locations (utah and los angeles), i have flown to a few times each, for different things. i used my silhouette to cut the "take a look" piece, from two pattern papers and some cardstock. i love that i can cut the entire piece from one paper (here, i used brown). and then when i cut the individual pieces, from other papers, i can layer them directly over the top of the original cut piece. makes it really easy to get everything lined up perfectly. once i decided to go to a two page layout, i figured i'd have lots of room to journal. because i did have a lot to say. since i tend to leave my journaling for last, there's times where i simply run out of room. or i find that i don't have a good enough spot to add it. so, i thought it was pretty funny when i ended up with this little journaling block, on a two page layout, with NO photos. lol! i wanted to cut out the title and airplane fairly large. which is one of the reasons i added the second page. i was going to include my journaling on the bottom of this page. but i thought the boarding pass card would be nice to include, and then i pulled out another journaling block. these just kind of landed on the bottom of this layout, and i lost my journaling spot. i used my silhouette to cut the airplane, from green pattern paper and from brown cardstock. i offset the green plane just slightly, and adhered it using pop dots. the "adventure" was cut from brown cardstock and orange pattern paper. i also punched some clouds from coordinating pattern papers, and pop dotted a few of them. i know there's always lots of clouds up there, when i'm in the planes. a small miracle has occured, and i have a brand new layout to share today. i actually have another brand new one to share tomorrow as well. but this one was made entirely for no reason. just because. the photos are older ones of the girls. i came across them a few months ago, and printed them out to scrap them. finally did just that. it's a simple layout. nothing fancy of special about it. and it's a 9"x9" layout. i got into this size about four years ago, and used to make them all the time. it's a fun size to work with. you can print your photos smaller, and save more on photo paper. and a lot of embellishments just seem to be made for the smaller page. sometimes, they can get lost on a 12x12 layout. but the size ratio on the 9x9 works really well. everything on this layout is from my mind's eye. this paper here, with the glittered circles? we were using this pattern paper, in yellow, in one of the CKC classes i taught. but we were using the backside of it. i loved that paper so much, that i went out and picked it up in every color. i think there's just three colors. teal, yellow, and pink. but i got them all. love that my mind's eye has all the fun die cut titles. they're so easy to use, and they match the collections perfectly. i adhered this one using lots of pop dots, and curled up the edges all the way around the piece. i'll be back tomorrow, with a kerri bradford studio layout. it's a 12x12, two pager, with NO PHOTOS. i've done no-photo layouts before, but this was my first time doing a two pager. 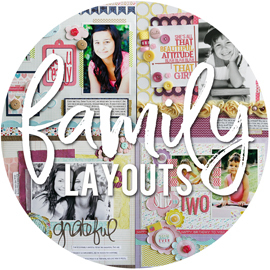 today, i'm finally able to share this fun layout that was in the september issue of creating keepsakes. i cut it super close on the deadline to submit this, and apparently only took one photo of it. and i never took more pics, before i mailed it in. then it got held up coming back to me. it finally found it's way home last week, and i was able to get more photos of it. here's the september 2011 sketch. i love working with sketches, and figured i would give it a try. i think i've said this before, but i tend to follow sketches, exactly as they're shown. recently, i have tried to mix it up and alter sketches, just slightly. but this is one i worked on AGES ago (beauty of the magazine world. lol! ), and i think you'll see that i used this sketch as-is. the sketch had this fun scalloped border across the bottom of the pages. i decided to use my silhouette to cut these, from some blue tone-on-tone pattern paper. even though i had had my silhouette for about four months, i still hadn't used it. working on this layout, was the first time that i actually took it out of the box and tried it out. i also cut those sketchy stars, from the same blue pattern paper. back on the original sketch, months ago, there weren't any sizes on the photos. so i really did some quess work, trimming a bit here and there, and layering the photos all together. i kept going, until it all fit together nicely, and looked like the sketch. i love these skinny fabric thickers, from american crafts. and on my buttons, i added mini brads to two of the buttons holes. i love doing that, instead of threading them all the time. these two smaller photos of alyssa look so dramatic, don't they? lol! after all these years, she knows how to turn it on to the camera. but her and joe really were watching the game, through the window, while i took photos of them. when the dodgers happen to score, this was her "reaction" for the camera. speaking of alyssa, today is her birthday! i can't believe that she's turning FIFTEEN YEARS OLD today! Hi and welcome to the CKU Blog Hop! We’re excited to share with you projects that we hope get you excited about CKU Reunion, whether you’ve already registered, are planning to come, or wishing you were coming. The blog hop is from Friday, Sept. 23 at 10:00 am MT until Saturday, Sept. 24 at 10:00 am MT. If you get lost during the hop, come back here for the hop order (below). Have fun hopping! 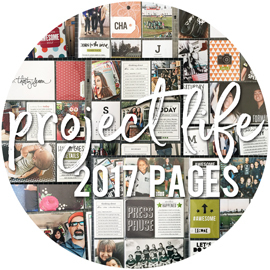 If you’re following the CKU Blog Hop, you should have come from Piradee Talvanna's blog. If you stumbled upon this blog post and want to see all the CKU Blog Hop participants, make sure to go to Mou Saha’s blog to start from the beginning. Join us at CKU Reunion in San Diego, CA October 27-29 for a weekend of creating, connecting, and inspiration. 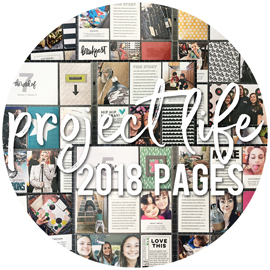 You’ll spend one day completing an album that will be ready for photos when you get home, and another day creating in four 90 minute classes including mixed media canvas art, fabric creations, jewelry, and more. Plus, there are evening crops, bonus classes, goodie bags, a commemorative tote, and so much more all for only $295! And you’ll be learning from some of the industry’s finest such as Lisa Bearnson, Teresa Collins, Stacy Julian, Michelle Hill, Megan Hoeppner, and other inspiring teachers. You know you want to come, so register today so you’ll have plenty of time to pack your supplies for the trip. See you in San Diego! 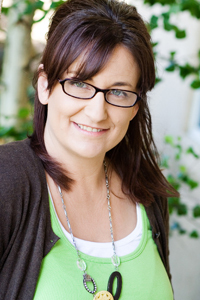 Want to hear more about Megan Hoeppner's class description? We've got your number in this incredible 11 page 12" x 12" album class. Join us as we count the ways numbers impact your everyday life. You'll look back on important numeric events in your life, such as memorable milestones (marriage, graduation, etc. ), and significant (and playful) quantities (the number of children you have, the amount of times you indulge in your favorite vice every day, etc.). And you'll have a blast personalizing your album with numbers unique to you-your home address, your lucky number, etc. Plus, as you add up the numbers of your life, you'll learn innovative techniques such as coloring with Twinkling H20s, stitching, and misting all while using Pink Paislee's NEW Daily Junque line. Top it off with clever ideas for using unexpected supplies, such as cupcake liners, washi tape, bakers twine, and more, and you've got one fresh album. Whatever your digit, this album is rated a 10.0 for fun and creativity! as seen in the November 2009 issue of Creating Keepsakes magazine. copyright creative crafts group. posted with prior permission from the publisher. I pulled up this older layoutof mine, which incorporates numbers into the design and the journaling. This is a photo of an online friend's son, Adler. I was scrapping some photos for her, just for fun. When it came time to scrap this photo, I turned to her blog to find some journaling to go along with it. She had this great post, about him always saying "three minutes mom ... just three minutes ... that is it, and then i'm outta here". That's all the time he would allow mom to take his pictures. Too cute! I used some pattern papers by Creative Cafe and WRMK to start out my layout, and then added the number paper from American Crafts to go with the theme of the page. For my title, I used a mix of foam letter stickers from American Crafts, and glitter mini stickers from Making Memories. Three velvet star brads finished off the theme of the layout. Next, head over to Stacy Croninger blog, to see what she has in store for you! i have a layout share today, from the september issue of creating keepsakes. for this assignment, i was asked to use a themed collection, to do a non-themed layout. i'm really big on this idea. that just because a collection is geared towards a particular theme, doesn't mean you can't use it for everyday layouts. i decided to use bella blvd's cute pet collection for my layout. now, we don't have pets. you could say, that pets are the reason we don't have pets. alyssa is allergic to them, so it's not something we'll ever have to consider. did i ever mention that i bought stock in these doodlebug loopy letter stickers? love them! not usually on their own. but paired with chipboard letters, they're so fun! i wrote more about the design team call and the announcement, on the bella blog. so be sure to check it out. especially for those of you that submitted for the call. i recognized a lot of you in my inbox, and loved seeing your work! 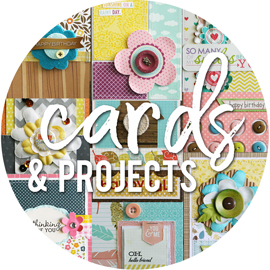 i have a kerri bradford studio layout to share today, that just went up on her blog. kerri has a birthday this week, and decided that it was only fitting to have a celebration on her blog as well. as her design team, it was our fun job to help out with the party and make some pretty things to share. decorations, you could say. lol! we were asked to focus on happiness. create projects, based on something that makes us happy. there are a lot of things that make me happy in life, like my family and friends. since i scrapbook about them all the time, i thought i would do a fun layout about something else that makes me really happy. music. i L-O-V-E music. whether i have it playing on the radio in the car, on my IPod while i'm scrapping, on ITunes when i'm working on the computer, or when my girls have it playing in their rooms. if there is music playing, i can guarantee you that you will find me singing along, boppin' in my chair, or dancing around the house. i love all kinds of music, but i wanted to focus on my love of country music for this layout. i did google searches, to find photos of some of my favorite artists and groups, and printed them out in one of kerri's fabulous digital templates, from her storyboard #1 kit. the trick to finding great photos, is to look for larger sized images. if you are wanting to print them, you want a good quality photo. i had quite a few that just didn't work out, since they got super blurry when i made them big enough for the collage. i left one of the spots in the template empty, since i knew i was going to add my title there. I always leave the grey there (or whatever color the templates show), so that i can measure how big i need to cut my papers, to fit over the spot. i trimmed up some pattern paper to fit the space. and then i used my silhouette, to cut out the "totally happy", from kerri's say what #1 kit, from both brown and red cardstock. i love to point out my "oops" moments. see that second "P"? i lost the little inside piece, cut from the brown cardstock. i was being so careful, and i lost it. so i just used a brown pen to color the red cardstock. i made sure to choose photos that coordinated nicely with each other, and with the color scheme i was going for. it started with the photo of lady antebellum. i loved the rich, deep colors in the photo. so i made sure to find photos of the other artists/groups, in simliar, darker colors. this layout is a quick glance at the faces behind the music, that makes me happy! isn't this fancy scroll border so gorgeous? honestly, this isn't something i would normally pick out on my own. i knew i wanted to add a fun border design on each side of my photo collage. 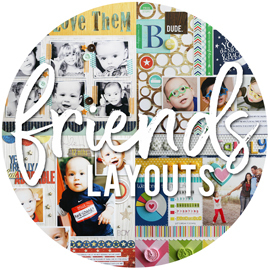 this is from kerri's borderlines #2 kit, and when i saw it, i knew it was the perfect style to go with my layout. and check out the detail in this little 7 inch border (you can make it whatever length you want. mine happened to be 7 inches). amazing detail, and it cut out like butter on the silhouette. i cut all four of these at once, and ran them through my "X" xyron sticker-maker, to adhere them. i wanted to let you know about something new going on at bella blvd. we are starting a new monthly feature to help you get inspired. i will be designing a fresh, never-featured-before project along with step-by-step directions for you to use. every month! it will be complete with a list of tools, supplies and the bella products needed. here's a peek at the one for this month. i'm back this morning, super quick, to announce the winner of the party time kit, by creating keepsakes. thanks for all of your sweet comments on the kit design and contents. i had a lot of fun working on that and putting it all together. i wish i could send you all a kit, but i only have one extra to share. this is the party time kit, which came out just a few weeks ago. back at the beginning of the year, i was asked to put together a birthday kit. from start to finish. i had a few quidelines, as far as how many papers, and what types of embellishments to include. but then i got to just run with it, and see what i came up with. and this is what i came up with. this is the photo that i took of my "kit", when i sent it in to get approval. i didn't have the buttons on hand that i wanted to use, so that's the one thing that's different in the actual kit. i loved the fun, brightly colored papers. i wanted this to be able to work for girl or boy themed pages. here's a full shot of one of my sample layouts. in the kit, you get the full instructions, to re-create my three sample layouts. all completed with just the contents of the kit, and no special tools or supplies. or take the kit, and run with your own ideas, to create fun party layouts. OR. you could get even crazier and use this kit for something entirely different, and not have a party theme at all. creating keepsakes was generous enough to send me an extra kit, to give away to one of my lucky blog readers. just leave me a comment, and you'll be entered in the random drawing. i'll leave the comment open until saturday night, and will announce a winner on sunday. i had a layout up over on the bella blvd blog yesterday. to read more about my layout, and see extra detail shots, go HERE. did i ever mention that 2 weeks ago, i left to go to north carolina, to teach at CKC? 5 days later, i came home, and have been recovering since. and in exactly one week, i'm leaving for texas, to teach at CKC again. and 5 days later i'll come home. and then i'm staying home and never traveling again. lol! at least not again this year. anyways. busy with recovering and preparing for my next trip, and learning new classes. i'm also knee deep in bella blvd stuff. fun stuff. exciting stuff. can't wait to reveal our new design team next week! have you see the newest class event going on at two peas in a bucket? for three weeks, starting august 22nd, design school will be in session at 2peas. each week, they will focus on two principles and elements of design. i was thrilled when jamie sorenson emailed me, asking if i wanted to be a guest designer for this fun event! i was asked to focus on "proportion/scale". to me, proportion and scale relate to the size of the elements on my layouts. for instance, if i have a small tree accent, i would not want to add a giant flower accent next to it. the items should relate in size, and be proportional to each other. in real life, flowers are quite smaller then trees. so i would want to keep them to scale on my layouts, just like in real life. on the majority of my layouts, the one thing that i always try to make pretty large is my titles. i like them to stand out. and i usually work with standard sized photos, or even smaller ones. the largest photo size i use is a 5x7. so i thought it would be fun to use larger photos on my layout, along with smaller titles. so i decided to print two of my favorite photos of the girls, 8x12 inches. you can order these right through costco, and they're only $1.49. i love that you can really highlight a favorite photo this way. for my title piece, i found this fun scalloped circle paper from little yellow bicycle. it was the perfect size for the side of my layout, and the shape fit so nicely with the curve of the tree in the photo. the inside part of the paper was this darker grey color. So i took a grid pattern paper from bella blvd, and cut out a large circle that fit perfectly over the grey. i thought it added a bit of interest, to spell out the word "little" with larger letter stickers, and the word "big" with smaller letter stickers. kind of a play on words type of thing. i also came across this scroll die cut border, from little yellow bicycle, and thought it would add the perfect touch of yellow on the left side of my layout. i carefully cut in in half, lengthwise, and adhered it right up against the ribbon. i also wanted to work the propotional/scale lesson into my journaling. just like my title says, alyssa truely is my "little big girl". this is where things are NOT proportional. at least, not in my eyes. alyssa might be on the more petite/small side, physically. but who she is, what she believes in, and what she is about, is HUGE. i was trying to find a few embellishments to add to the upper left corner, and came across these flair buttons from american crafts. the tree fits perfectly. i couldn't decide which photo or which daughter to scrap, so i went all crazy and did two layouts! this is a favorite photo of sarah, from last year. when looking at this photo, it dawned on me how fast she's growing up these days. i went with some smaller letter stickers, from sassafrass. i love these little letters, and just happen to have ordered more this weekend. i wanted to add a few little banner pieces in the upper corner of my layout. just a fun way to add something to an empty space in a large photo. i had some cute tags from studio calico, but they weren't quite the colors or look i was going for. so i traced the shapes onto some pattern paper from little yellow bicycle, and cut these pieces out. i added some machine stitching below each row of letter stickers. not too noticeable, but adds a subtle touch. i belive the brown chunky ribbon is from bobunny. i liked that it added a bulky touch to the page. and the fun tulle flower, with the rhinestone center, is from making memories. i added these little clouds to the banner pieces, using my two different sized cloud punches from fiskars. the ledger paper is crate paper, the tiny alpha stickers are from making memories, and the rhinestones are teresa collins. i want to thank 2peas for the opportunity to join in on their design school session this week. i have never enjoying going to "school" this much. lol! make sure and head over to 2peas, to check out everything they have going on. you can still go back to the previous lessons. and then check out what their other designers did for the "proportion/scale" lesson today, and see their takes on the idea.